Gerdy and I strolled down to our favorite, and only, neighborhood pub, The Abby Pub, to pick up a burger and nurse my aching feet. 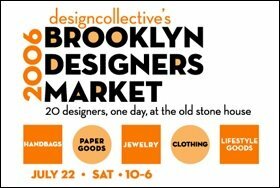 It's been a busy week, and it's not over yet, beginning with a big announcement to you all about Park Slope's first, indie designer market, designcollective, which will be showcasing Brooklyn's (and other boroughs!) hot, new, design stars with a sale, on Saturday, July 22nd from 10am-6pm, at The Old Stone House (J.J. Byrne Park, 5th Ave. between 3rd and 4th street). The indoor, air-conditioned, market offers the public the first glimpse of the forerunners of fashion in apparel, handbags, jewelry, children's clothing, accessories, and paper and lifestyle goods. Katie James will be part of it in September after I cruise around Saturday afternoon, checking out how these gals use their mobile phones to process credit card orders! Advanced.com. This is a lovely and lively group of designers that I've suddenly become a part of (thanks to FashionMista) who are part of a big Yahoo group called DesignCollectives, and send out little emails ranging from a Craig's listing for a boutique for sale, to PR celebrations, to you name it. Thanks to one of them, I may have just mended my production problem with an actual stitcher of my very own. 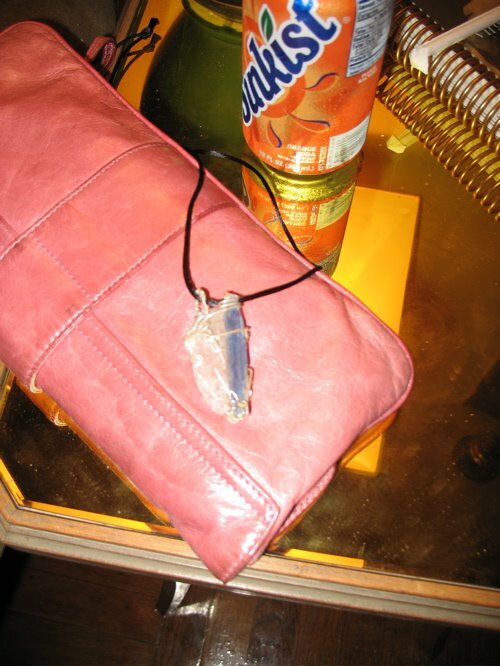 Learn about the organizer, the designer behind Foffolle from her website. Which leads me to the next activity, which was buying scissors from Joann Fabrics after getting feedback from the ladies over at The Switchboards forum as to the best brands and what to look for. That's when I learned about the rotary cutter. Not being a seamstress or trained designer, I don't know about this basic stuff required for small production runs. I just give it all to someone else! But with encouragement from a DesignCollective's designer, who may be at the market, I may set up shop here in the apartment and hire a recommended stitcher to cut and sew katie james accessories. I'm also sending samples off to a stitcher in Alabama...more to come! 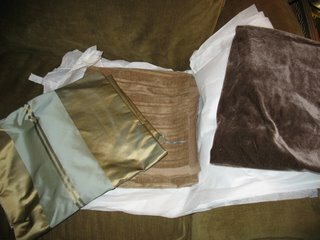 And for the highlight of the week, I finally bough some new fabric for new Gerdy and Dinah beds! This time it was from The Silk Trading Company located in ABC Carpet, and I'm so excited about it. Gerdy and Dinah will have the plushest dog and kittie beds around. My pal Little Evey is going to come over for a pattern party as we work on new products for katie james! All I can say is, it's a good thing for fresh blueberries from the Union Square Farmer's Market ($10 for 3 boxes and taste way better than Whole Foods's). 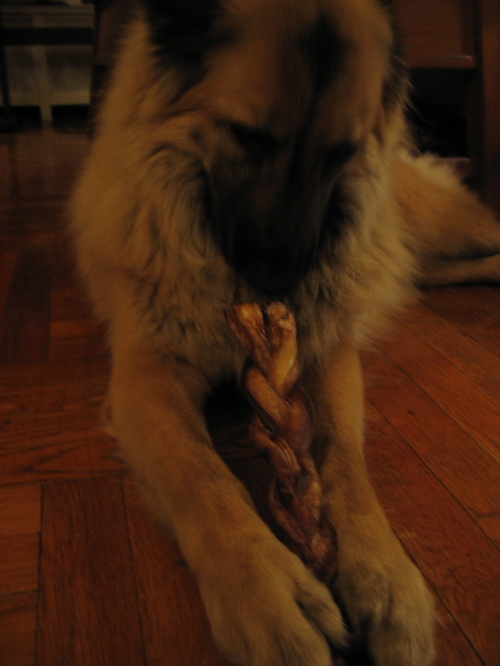 But I'll sign off with Gerdy eating her massive bone, a gift from Digger, her Lake House dog friend.